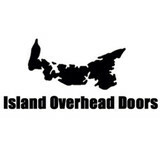 Island Overhead Doors is a garage door specialist for residential, commercial, agricultural and industrial applications, proudly serving Summerside, Borden-Carleton, Kensington, Miscouche, Crapaud, Kinkora, Hunter River, Cornwall, Charlottetown and Wellington. We would love for you to contact us, our team can give you personalized advice in purchasing a garage door, an installation that meets the highest industry standards, and unequalled after-sales service thanks to our maintenance and repair program. Our full range of products also includes electric garage door openers as well as many other accessories to go with your garage door. Think of us when it comes to buying, installing or repairing any type of residential garage door. We are located at 961 Callbeck St, Central Bedeque and are open Monday to Friday from 8 AM to 5 PM and we offer 24 hour emergency service. I invite you to contact us today, and on behalf of our entire team, I thank you for considering our company. What kind of services do Wallace, NS garage door dealers and installers provide? Garage door professionals specialize in the selection and installation of residential garage doors and openers that fit your budget, style and needs. This includes choosing a garage door style — or designing a custom garage door — that blends in with your home’s exterior, selecting materials, determining a technological system that supports your security and access needs, determining proportions and dimensions, finalizing decorative designs and ensuring that everything meets Nova Scotia compliance and building codes. Find garage door sellers and installers in Wallace, NS on Houzz. Narrow your search for Wallace, NS garage door sellers and installers by selecting the nearest city or zip code. Look at portfolio and product photos, and read reviews to find the best Wallace, NS garage door professional for your home.